There have been many great sitcoms produced in America: Newhart, Barney Miller, Cheers, Seinfeld to name a few. Equally, there’s been a lot of dreck put out – Joanie Loves Chachi (a spinoff from Happy Days, itself appallingly weak and guffaw-free), most of those reversioned-for-the-US British sitcoms like The Ropers or Sandford and Son, anything with a butler or a nanny playing the lead role, a talking horse or car … and now Dr. Ken. Dr. Ken is awful. Ken Jeong not only plays Dr Ken Park, but he’s also one of the executive producers. He’s credited as a co-creator and had a hand in the first episode. It’s hard to think of a lead character so relentlessly horrible, and that includes anything on the History Channel. The supporting cast struggles with a script and staging reminiscent of the ’70s – like One Day at a Time when that was on its last legs. If you watch it and get past the first commercial break, you’re made of sterner stuff than me. “As a startlingly one-dimensional character in an even more startlingly flat situation comedy, Dr Ken manages to be super-irritating and not at all interesting.” — Los Angeles Times. “The show is deadly, and Jeong, who did nice work in Community and those Hangover movies, is wooden and completely lacking in credibility … There isn’t a funny line in the entire first episode.” — San Francisco Chronicle. 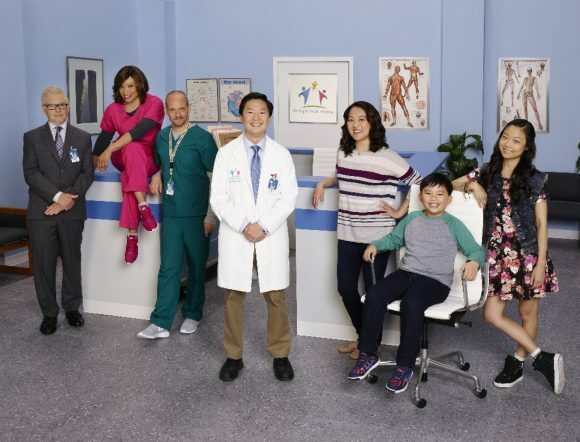 “What makes Dr. Ken such a cringefest is the disconnect between Mr Jeong’s florid persona — pitched at the edge of desperation — and everything else on screen, which stays within the boundaries of a network family series.” — New York Times. HD Ratings: Love It or Loathe It? Chang! He’s finally given up on Greendale and is taking over the hospitals instead. I’d rather watch re-runs of Community any day.